Pursuing your studies and returning to college as a mature student is an exciting, inspiring move, but it also means planning ahead to fit study around your life, in more ways than one. You’ll need to be savvy with your personal finances if you want to save money (yet still enjoy life)! 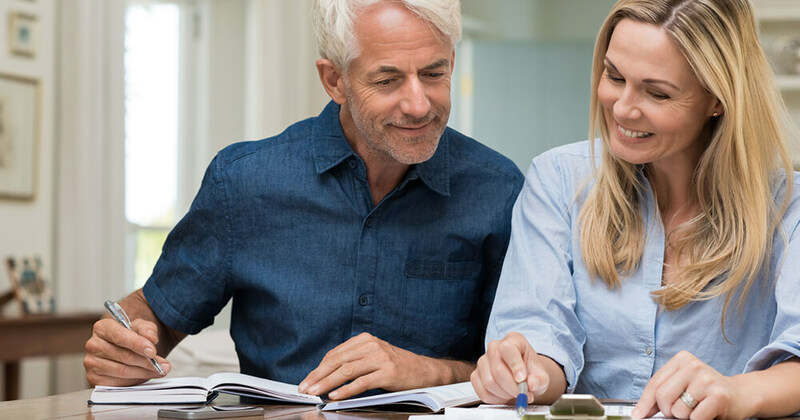 Whether you’re switching careers, fulfilling a long-life passion or diversifying your skill set, it’s essential that you know what financial support is available to you, and how you can best organise your expenses so you’re getting the best value for money. Read on for useful money tips that will help you be smart about the balancing your financial goals with undertaking study, so you can enjoy student life to the fullest. As a student, you may be eligible to claim a few perks, such as discounts or special offers on a range of products and services. For instance, if you sign up with UNiDAYS and verify you're an Open Colleges student, you can get 10% off gym memberships, clothing and Internet plans. Also, at Open Colleges, you won’t need to worry about forking out money for expensive textbooks. All your learning materials, such as workbooks, interactive lessons, videos and assessments are available via the online campus, OpenSpace. Paying your fees upfront can also help you save money. Whether you’re studying design and photography or health and fitness, you’ll benefit from a discount when you pay in full for eligible courses. This is because when you pay upfront, Open Colleges doesn’t incur admin costs, so they can pass these savings onto you. You may be eligible to claim deductions for self-education expenses if your study is work-related, so it’s worth knowing what you can claim as a tax deduction. According to the Australian Taxation Office (ATO), expenses are deductible if the course you’re studying is directly related to your employment and if it will help you maintain or improve your skills and knowledge that you require for your current employment. If you fit this description, you can claim expenses such as course fees, home office costs, internet usage, phone calls, textbooks and travel. Read up on the type of expenses that you’re eligible for. If in doubt, speak to a qualified tax accountant about preparing your tax return. Before you embark on your studies, make an effort to repay any outstanding debt that you have. For instance, if you have multiple loans or credit cards, you may want to consolidate your debt. If you’re falling behind on your utility bills, you could consider switching to a different low-cost provider. Reducing your personal debt and servicing existing debts will put you in a sound position to factor in the cost of your studies. Covering the cost of an online course can be expensive, but the good news is that you have plenty of options available to you. You can choose to pay in full, set up a payment plan (with weekly, fortnightly or monthly instalments) or set up a zipMoney payment plan which enables you to repay your loan back over 24, 36 or 48 months. Some of our courses are approved for Austudy/Abstudy assistance, providing you are eligible to receive these payments. There is also assistance available for those receiving pension payments and other financial benefits. Investing in your education is one of the best investments you can make in yourself. Make sure you prepare your personal finances, to be ready for the student benefits and expenses that you'll encounter throughout your studies. Happy learning! Following your childhood dreams, taking the next step up the ladder or starting a new career? Open Colleges has all the information you need to find the career pathway that’s right for you. Get started here.